With the holiday season having come and gone, PHR continues its look at what teams are thankful for as the season heads towards the midway mark. There also might be a few things your team would like down the road. Let’s take a look at what’s gone well in the early going and what could improve in the second half for the Washington Capitals. Click here for the other articles in this series. What are the Capitals most thankful for? No significant Stanley Cup letdown. It’s not uncommon for teams that just won the championship to start slow out of the gates and given that this was Washington’s first title, it wouldn’t have come as much of a surprise if this happened to them as well. Instead, they’re one of the top scoring teams in the league, have been near the top of the Metropolitan Division pretty much all season long, and are entering the second half of the campaign in a better spot than some recent champions have in past years. Doing so with a new coach makes it a little more impressive as well. Who are the Capitals most thankful for? Alex Ovechkin. The captain just continues to keep on scoring – he leads the league in that department and has a chance at his second career 60-goal season. He has won just about every NHL award there is to be won and even at the age of 33, he’s not slowing down. In fact, if Ovechkin can stay healthy and keep up his current pace for a few more seasons, he’ll have an outside shot at surpassing Wayne Gretzky for the all-time record (he currently sits 257 shy of the mark of 894). He has been the face of the franchise for more than a decade and even though his contract (13 years, $124MM) seemed somewhat outlandish at the time it was signed back in 2008, he has more than lived up to it. What would the Capitals be even more thankful for? Some more consistency from goalie Braden Holtby would go a long way. The veteran has allowed four or more goals in 10 of 27 starts but has allowed two or fewer in 14 starts. That’s pretty close to a toss-up between a strong start and a bad one from night to night and it’s difficult to have success when a number one netminder is that erratic. They’re quite pleased with how Pheonix Copley has fared in his first season as the backup which has allowed them to have some patience with Holtby so far but they’ll be looking for him to pick up his game in the second half. What should be on the Capitals’ Holiday Wish List? GM Brian MacLellan could want a whole lot of things but with mere thousands of dollars in cap space, there isn’t a whole lot he can do. First and foremost, freeing up some cap room is going to be atop their wish list. Winger Andre Burakovsky ($3MM) has been in trade speculation in recent weeks and if his play doesn’t improve in recent weeks, it’s certainly possible that he could be dealt to give themselves a bit of wiggle room. Another top-six forward to give the second line some more firepower would be a nice addition if they can find a way to afford it. With the holiday season now here, PHR continues its look at what teams are thankful for as the season heads towards the midway mark. There also might be a few things your team would like down the road. 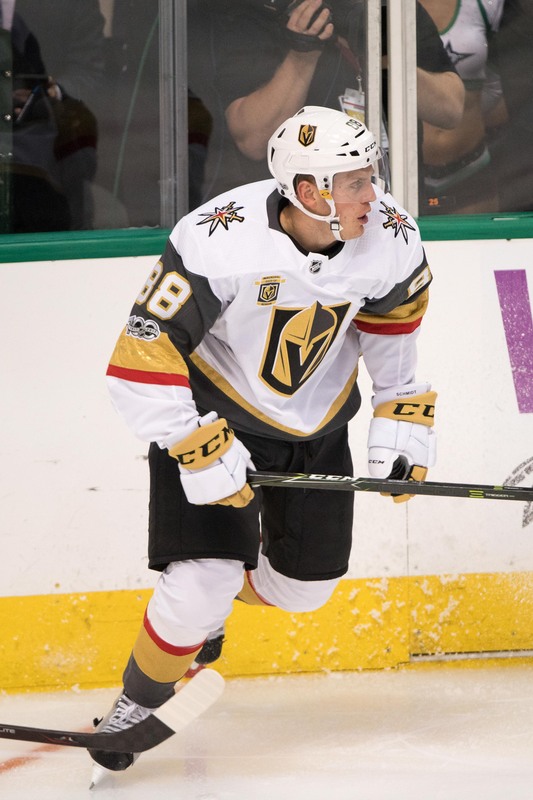 Let’s take a look at what’s gone well in the early going and what could improve in the second half for the Vegas Golden Knights. Click here for the other articles in this series. What are the Golden Knights most thankful for? A well-balanced attack that has allowed them to overcome a long list of injuries so far. Vegas sits in the top ten in goals scored despite four of their better forwards missing at least eight games due to injuries (Max Pacioretty, Paul Stastny, Alex Tuch, and Erik Haula). Instead of having one or two players carry the load, they’ve continued to be successful with their by-committee approach that actually has three players tied for the team lead in scoring. While some teams are shifting towards loading up a top line to do most of their scoring, the Golden Knights are spreading the wealth and are being rewarded for it. Who are the Golden Knights most thankful for? Nate Schmidt still isn’t in the discussion by many as a top defenseman but he has had a significant positive impact since returning to the lineup following his 20-game suspension to start the season. The Golden Knights were 8-11-1 to start the season but they have been one of the top teams in the league since then, posting a 15-4-3 mark which has helped them move within striking distance of the top spot in the Pacific Division. Schmidt has stepped in and logged the most ice time per night while also contributing at a career rate offensively, averaging 0.59 points per game. His presence has also shifted everyone down a notch on the depth chart into roles they’re clearly more comfortable handling. This was going to be a contract year for him but back in October, the 27-year-old inked a six-year, $35.7MM extension that’s looking like a nice bargain at this point. What would the Golden Knights be even more thankful for? Aside from their top players simply staying healthy, more consistency and production from Pacioretty. Their key offseason trade acquisition has not produced at the level the team was hoping for when they picked him up on the eve of training camp and handed him a four-year, $28MM extension immediately thereafter. His 10 goals in 30 games aren’t terrible on the surface but all but three of those came in a span of six games; he has been very quiet otherwise. Notwithstanding what they gave up for him (which looks worse when considering the price they paid for Tomas Tatar who was sent to Montreal as part of the Pacioretty deal), he was brought in to really bolster and deepen their attack, something that Tatar didn’t do last season. That simply hasn’t been the case too often so far. What should be on the Golden Knights’ Holiday Wish List? Secondary scoring is something GM George McPhee has tried to shore up a few times already and since they’re going to continue to be a team that scores by committee, adding some capable scoring depth in the middle six would be beneficial. Some more defensive depth would also be useful but top prospect Erik Brannstrom could also be called upon to see if he’s ready for full-time duty. While Vegas has plenty of cap space this season, that isn’t the case for 2019-20 and beyond thanks to the extensions given to Pacioretty, Schmidt, Tuch, and goalie Marc-Andre Fleury. With that in mind, they will likely be taking a long look at the rental market over looking to bring in someone under team control beyond this year. With the holiday season now here, PHR continues its look at what teams are thankful for as the season heads towards the midway mark. There also might be a few things your team would like down the road. Let’s take a look at what’s gone well in the early going and what could improve as the season rolls on for the Toronto Maple Leafs. Click here for the other articles in this series. What are the Maple Leafs most thankful for? Scoring and lots of it. Despite some injuires and a holdout, very little has slowed down an incredible offense. The team knew once it brought John Tavares on board this summer how good their offense would be and that has been the case as the team is ranked second in the league in scoring behind rival Tampa Bay, averaging 3.79 goals per game. That number has allowed the team the ability to put up the second-best record in hockey (behind rival Tampa Bay) with a 26-10-2 record. The team has already got six players with 10 goals or more, while another four players have seven goals or more. While many of those goal scorers have been their stars, the team has gotten impressive play from a number of unexpected players, including Kasperi Kapanen, Andreas Johnsson and Tyler Ennis. Who are the Maple Leafs most thankful for? The easy answer could be John Tavares with his 26 goals or Auston Matthews, who has 35 points in just 24 games, but surprisingly, the team’s points’ leader this year has been Mitch Marner, who has 13 goals and 40 assists this season. Those 53 points has him ranked fifth in the NHL and a suggestion that he’s headed for an even bigger season this year and if he can keep those numbers up is likely headed for a 100-point season for the team. Marner is quickly finding himself among elite company. 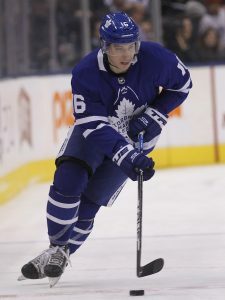 He is the first Maple Leaf to begin his career with 40 or more assists in three consecutive seasons, something that only five active NHL players have been able to do, including Sidney Crosby, Niklas Backstrom, Patrick Kane, Evgeni Malkin and Alex Ovechkin. No complaints in Toronto, however, as the team is trying to compete for a Stanley Cup championship this year. Marner’s play is exactly what they need to hopefully win a title. What would the Maple Leafs be even more thankful for? The team still needs to get William Nylander back on track. The 22-year-old ended his holdout on Dec. 1 after agreeing to a six-year, $45MM deal. However, Nylander has far from been a big hit since returning to Toronto’s lineup this year. The center has appeared now in 10 games for the Maple Leafs and still hasn’t registered a goal, posting just two assists so far. The team has moved him down to the third line and hopes that he will figure out a way to find his offense prowess. He is coming off a 20-goal season a year ago, but that holdout seems to have stalled that progress. If the team can get him going, it will only further improve their offense. What should be on the Maple Leafs’ Holiday Wish List? Some extensions. The team has several contracts to deal with this summer and after dealing with a long, drawn-out holdout from Nylander, Dubas and the Maple Leafs have to hope they can lock up their two top restricted free agents in Matthews and Marner. If the team can lock either of them up during the season, that could help set up the team’s long-term cap situation early which could allow Dubas to find more flexibility to add talent at the trade deadline. The team has a number of other free agents to deal with as well. The team also has restricted free agents Kapanen and Johnsson on their list of players to lock up as well as unrestricted free agent defensemen Jake Gardiner and Ron Hainsey to deal with as well. The more they can accomplish during the season, the better for a team with a tricky cap situation. With the holiday season now here, PHR continues its look at what teams are thankful for as the season heads towards the midway mark. There also might be a few things your team would like down the road. Let’s take a look at what’s gone well in the early going and what could improve as the season rolls on for the Tampa Bay Lightning. Click here for the other articles in this series. What are the Lightning most thankful for? A dominant forward group that is among the best in the league. 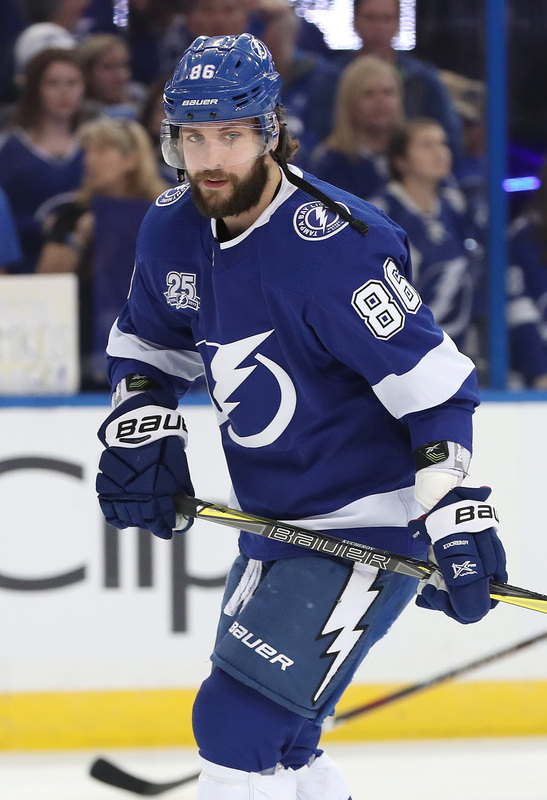 Nikita Kucherov and Steven Stamkos are franchise forwards, Brayden Point is heading in that direction if he can keep up his level of play, while Tyler Johnson, J.T. Miller, Yanni Gourde, and Ondrej Palat are all capable top-six forwards. This group has led Tampa Bay to become the highest scoring team in the league this season by a fairly sizable margin. They have high-end skill and the depth that few teams can match which is going to make them tough to beat when the playoffs come around. Who are the Lightning most thankful for? There are a lot of players they’re thankful for but Kucherov stands atop the list. His 100-point season came as a bit of a surprise last season after not really approaching that mark but instead of taking a step back, he is on an even more impressive pace, averaging better than 1.5 points per game to sit second in league scoring. He can carry his own line, allowing the Lightning to run two extremely strong scoring units. They’re also quite thankful for both his current contract and his future one. Kucherov is in the final year of an extremely underpriced bridge deal that sees him rank sixth among Tampa forwards in terms of cap hit. That’s allowing them to have the flexibility to add to this roster before the trade deadline. He earned a major raise on his new deal that kicks in next year at a $9.5MM AAV but that’s still well below the cost that some expect some of the top RFA forwards to get this summer while also checking below some of the top contracts handed out in recent years. It’s hard to call $9.5MM a bargain but if Kucherov continues to produce like he has, it will turn out to be one. What would the Lightning be even more thankful for? Mikhail Sergachev emerging into a legitimate top-four defenseman. There is a substantial drop-off on their back end past Victor Hedman, Ryan McDonagh, and Anton Stralman and veterans like Dan Girardi and Braydon Coburn are what they are at this stage of their careers. Sergachev becoming a regular top-four player would really allow them to lean heavily on their top two pairings come playoff time and lessen the reliance on their depth veterans. Beyond this season, Stralman is set to become an unrestricted free agent and they will be in tough to keep him around so they will be counting on the 20-year-old to fill that spot in the very near future. If he can get to that level in the second half of 2018-19 though, they’ll be even more dangerous in the postseason. What should be on the Lightning’s Holiday Wish List? If Sergachev isn’t ready for a full-time slot in the top four, GM Julien BriseBois may look to try to add depth to that position. Considering that three of their top six are UFAs in July, they’re not forced to look just at veteran rentals; it wouldn’t be surprising to see them try to target a young, cost-controlled player that will be part of the core beyond this season. However, payroll room is going to be an issue for next season and beyond. With that in mind, BriseBois will likely be looking for opportunities to free up some salary cap space after this season. Veteran Ryan Callahan has long been speculated as someone that they will eventually look to move while Alex Killorn could be deemed expendable with the way youngsters like Mathieu Joseph have performed this season. They won’t be forced to make this type of move by the deadline but if the opportunity presents itself to free up some space without significantly hurting their roster, expect them to take it. With the holiday season now here, PHR continues its look at what teams are thankful for as the season heads towards the midway mark. There also might be a few things your team would like down the road. Let’s take a look at what’s gone well in the early going and what could improve as the season rolls on for the St. Louis Blues. Click here for the other articles in this series. What are the Blues most thankful for? Tough decisions in the past to trade rentals. Zach Sanford. Brayden Schenn. Dominik Bokk. Erik Foley. All of these St. Louis players are the result, in one way or another, of the deadline deals that the Blues have made over the last two seasons. 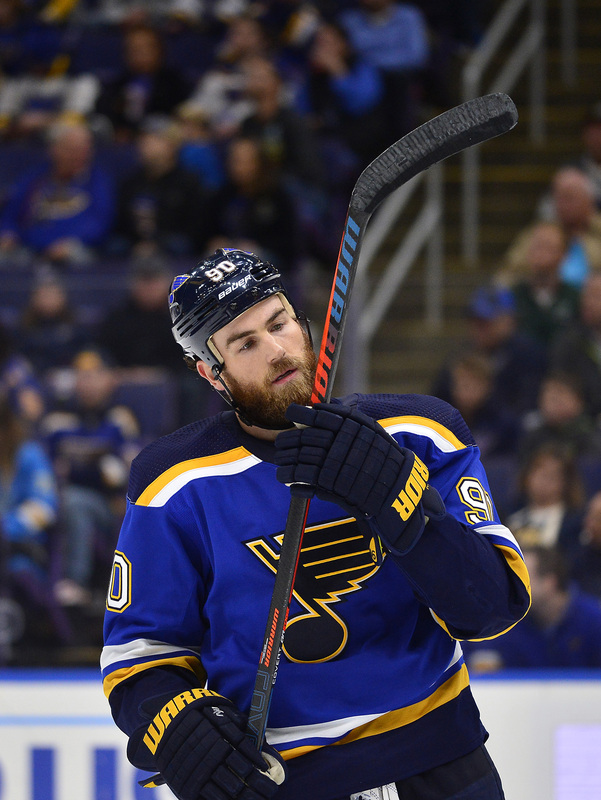 In accepting their fate and trading pending unrestricted free agents in Kevin Shattenkirk and Paul Stastny, the team has improved their future tremendously, even if it hasn’t paid off just yet. While the Blues have struggled in the standings this season, they would be even worse off had they decided to hold on to Stastny and Shattenkirk only to watch them sign elsewhere on the open market. Those kind of tough decisions are likely why many are pointing the finger towards the Blues as the trade deadline approaches, expecting them to sell off some prized assets like Alex Pietrangelo or Vladimir Tarasenko. GM Doug Armstrong’s been willing to watch long-time core members walk out the door before, will he do it again? Who are the Blues most thankful for? It’s easy to point to O’Reilly and make wild speculative jokes about how teams have struggled with him in the lineup, but the simple fact is that he’s been the Blues best forward for the entire season. Coming to St. Louis in a huge trade with the Buffalo Sabres that cost the Blues two high picks and young Tage Thompson, O’Reilly has been as advertised logging huge minutes and being a force at both ends of the rink. He’s the team scoring leader with 32 points in 34 games, has posted strong possession numbers once again, leads the league in faceoff percentage and is one of only three St. Louis forwards with a positive +/- rating (he leads the team at +3). There are lots of things wrong with the Blues right now, but thankfully O’Reilly hasn’t been one of them. The 27-year old center should allow the team to move forward without a full rebuild, and help bring St. Louis back to the playoffs down the road. What would the Blues be even more thankful for? It’s not that Jake Allen is a bad goaltender. Far from it in fact, as shown by his last ten appearances in which he has a .912 save percentage and a 6-3-1 record. The Blues can certainly win with him in net, but they can’t seem to be able to rely on him. Allen is perhaps the most frustratingly inconsistent netminder in the league, at times flashing brilliance moments before falling apart. His overall .900 save percentage on the season is a huge part of the Blues’ struggles, and without a reliable backup the team hasn’t been able to string together any successful performances. It’s that backup role that has been so frustrating for the team this year, after watching Carter Hutton leave for Buffalo in free agency. Chad Johnson was brought in as the answer but struggled so mightily that the team waived him and saw him join the Anaheim Ducks. They now have Jordan Binnington on the roster, but with just two NHL performances under his belt it would be difficult to trust him should Allen go through another rough patch. Ville Husso’s continued struggles at the AHL level make it harder to see where the Blues’ solution will come from. What should be on the Blues’ Holiday Wish List? Some patience from the front office. It’s not time to blow up the Blues and trade away extremely valuable assets like Tarasenko or Colton Parayko. Even Pietrangelo, who is closest to unrestricted free agency with just one more year on his contract should be almost untouchable unless a team offers a mountainous package in return. That package would have to include assets that can step right into the NHL and help now, instead of just prospects or picks down the line. If things get worse over the next two months, there could be an immense amount of pressure on Armstrong to make a drastic move at the deadline. Patience needs to be preached in the St. Louis front office, or they risk making a trade that could quickly be regretted. With the holiday season now here, PHR continues its look at what teams are thankful for as the season heads towards the midway mark. There also might be a few things your team would like down the road. Let’s take a look at what’s gone well in the early going and what could improve as the season rolls on for the San Jose Sharks. Click here for the other articles in this series. What are the Sharks most thankful for? A very talented defense corps (at least on paper). While they haven’t lived up to expectations at times, this group can be among the top units in the league. Brent Burns and Erik Karlsson give them two of the more dynamic defenders in the NHL while Marc-Edouard Vlasic has been viewed as one of the better defensive rearguards in the past. The top end of this back end is hard to match when they’re on their game while Justin Braun is a capable minute eater to round out their top-four. 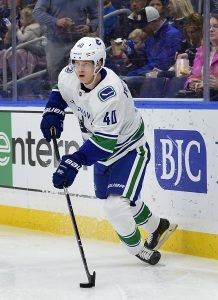 Their depth isn’t as well-known but players like Radim Simek and Joakim Ryan have shown flashes of upside while Brendon Dillon is a capable third pairing player. San Jose spends the most of any team in the league on their blueline and they have a very strong unit to show for it. Who are the Sharks most thankful for? It’s tempting to go with winger Timo Meier here given his emergence as a top liner but it’s too hard to overlook forward Logan Couture. He’s off to a fantastic start this season and leads the team in scoring with 36 points in 38 games at the holiday break. He has the versatility to play down the middle when injuries strike; that flexibility may come in handy with centers Joe Thornton and Joe Pavelski both being eligible for unrestricted free agency next summer. San Jose also is certainly thankful for the eight-year, $64MM contract extension that he signed last offseason. 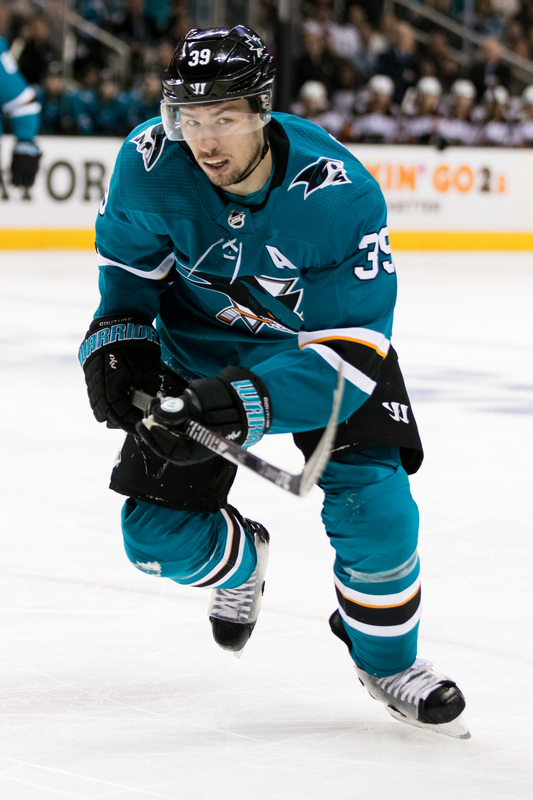 Couture is a key cog for them up front and has been locked in for the long haul at what’s looking like a pretty good rate right now, one that is likely less than what it would take if they were trying to sign him in free agency next summer. What would the Sharks be even more thankful for? Consistent goaltending. Martin Jones has had some good stretches this season but also some particularly rough ones. Overall, he has posted a 2.86 GAA with a .896 SV% on the season – a league average GAA but considerably below the league average SV% (.908). Backup Aaron Dell has slightly better numbers but his SV% is also well below his career average. With the quality of their back end and the depth of their attack up front, all San Jose realistically needs is average goaltending to take a step forward and push for the top spot in the Pacific Division. They have a little way to go to get there. What should be on the Sharks’ Holiday Wish List? In the immediate term, they’ll want to get an indication from Karlsson’s camp as to what a long-term extension might cost and if he’s willing to sign it. It’s unlikely he’ll sign until he’s eligible for an eight-year pact (which can happen after the trade deadline) but GM Doug Wilson will need to have a sense of what it’s going to cost to lock his big acquisition up before proceeding with other moves (including looking at extending Pavelski). In terms of upgrading their current roster, fourth line center has been an area of concern all season and a few different players have been in that role with varying degrees of success. Finding a veteran to put in that role to kill penalties seems like something they will look to address. Beyond that, their depth is pretty strong but if they stay healthy, they’ll have enough cap space to make another move of note if they so desire. As the holiday season quickly approaches, PHR will take a look at what teams are thankful for as the season heads past the one-quarter mark. There also might be a few things your team would like down the road. Let’s take a look at what’s gone well in the early going and what could improve as the season rolls on for the Pittsburgh Penguins. Click here for the other articles in this series. What are the Penguins most thankful for? Kris Letang’s return to health. It’s hard to mention the Penguins without immediately pointing to the continued stardom of Sidney Crosby, or the luxury of having Evgeni Malkin as a second-line center, but if anyone can steal some of the spotlight it’s Letang. 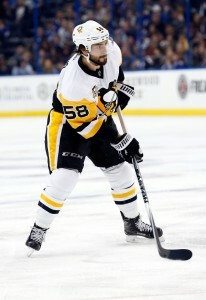 The 31-year old defenseman has played 34 of the Penguins’ 36 games this season and is showing why at one point in his career he was considered one of the best in the entire world. After years of struggles with injuries both major and minor, Letang finally found some health last season and rewarded the Penguins with a 51-point season. That was good for 17th among all NHL defenders, but Letang had more to prove after the Penguins were eliminated and failed to capture their third straight Stanley Cup. This year, the right-handed defenseman has taken on even more responsibility and is averaging more than 26 minutes a night. That’s five minutes more than his closest teammate, and puts Letang fourth in the entire league behind only Drew Doughty, Seth Jones and Ryan Suter. With that kind of ice time he has responded brilliantly, tightening up his defensive play and recording 28 points through his 34 games. The next highest-scoring defenseman on the Penguins is Jamie Oleksiak with 11 points, showing just how much responsibility is heaped upon Letang’s shoulders on a nightly basis. Who are the Penguins most thankful for? While any of the Penguins superstars could be the answer here, it’s the unexpected nature of DeSmith’s season that makes him so wonderfully appreciated. If someone were to have said that Matt Murray had only played 14 games by Christmas, and his save percentage was exactly .900 it would have been hard to imagine the Penguins would be anywhere near a playoff spot. But there they are in third place in the Metropolitan Division because of the exquisite play of DeSmith, who has made a legitimate case to take over as the team’s full-time starter. In 24 appearances DeSmith has posted an 11-6-4 record and leads the way with a .926 save percentage, good enough for fourth in the league among goaltenders with at least ten starts. The undrafted University of New Hampshire product trails just Jaroslav Halak, Andrei Vasilevskiy and John Gibson in that statistic, giving the Penguins more than enough to keep them in the hunt. Interestingly, the 27-year old goaltender is an unrestricted free agent at the end of the year and could very well be playing his way into being this year’s Scott Darling or Carter Hutton. DeSmith has never carried a team as the starter for very long, but might get that chance from a desperate organization if he doesn’t re-sign with the Penguins before July 1st. What would the Penguins be even more thankful for? Last year the Penguins were desperately trying to find some depth to put down the middle behind Crosby and Malkin, and ended up selling off Ian Cole and several other assets to acquire Brassard from the Ottawa Senators (with the Vegas Golden Knights helping along the way). At the time it looked like an immediate win for the Penguins, who could plug Brassard in beside players like Phil Kessel and ride towards another Stanley Cup. The fact that Brassard was under contract for another season at a now-reduced cap hit was just icing on the cake. Not so fast, as Brassard never totally fit in with the Penguins down the stretch and disappeared in the playoffs. His ice time was reduced during the postseason run, something that has recently happened again this season. The 2006 sixth-overall pick has been nowhere to be found this year, recording just nine point in 27 games while registering poor possession numbers and being absent on the powerplay even when he is given the opportunity. If the team could somehow get a piece of the 60-point center Brassard once was they would have one of the most dangerous groups in the league. As it stands, they’re struggling to find much consistency or production in the bottom six. What should be on the Penguins’ Holiday Wish List? It makes almost no sense that the Penguins would need to go after another center given how they loaded up over the last 12 months. The team has a group consisting of Brassard, Riley Sheahan, Derek Grant and Matt Cullen who have all have experience in the middle, and yet can’t seem to get any production from the position outside of their top two options. This wasn’t supposed to be an issue for them this year after adding depth, but it’s proving to be once again. GM Jim Rutherford hasn’t been shy about making deals to improve his club in the past, and has already traded away Carl Hagelin and Daniel Sprong this season. He would need to balance the salaries somewhat in order to do anything, but is spending big on a rental option like Kevin Hayes or Matt Duchene even really an option? The team hasn’t selected a player in the first round for four consecutive years, and traded Kasperi Kapanen (22nd overall in 2014) before he ever even played a game for them. Surely at some point they’ll have to say enough is enough and keep their draft picks, but perhaps Rutherford will take another shot this time around. As the holiday season quickly approaches, PHR will take a look at what teams are thankful for as the season heads past the one-quarter mark. There also might be a few things your team would like down the road. 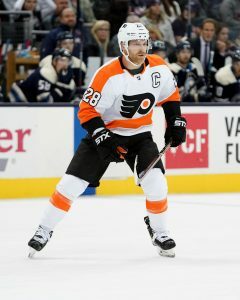 Let’s take a look at what’s gone well in the early going and what could improve as the season rolls on for the Philadelphia Flyers. Click here for the other articles in this series. What are the Flyers most thankful for? The Flyers should be thankful that the team has made the necessary front-office and coaching changes and can now move forward for the rest of the year. While the firing of general manager Ron Hextall came as a shock to many, the team has since hired GM Chuck Fletcher who has replaced Dave Hakstol and seems poised to stick with current coach Scott Gordon for the remainder of the season at the very least, which gives the team some current stability. The hope is that between Fletcher and Gordon, the team can attempt to refocus their energy on the ice and try to fix some of the issues that have plagued the team. Fletcher is likely going to make several moves, whatever those are going to be. There are questions whether Fletcher will attempt to trade for a goaltender now that Carter Hart has debuted in Philadelphia, but the team may also be more inclined to focus more on their defensive struggles as the team just isn’t getting it done on the blueline. Regardless, change is coming and should be here within two months. Who are the Flyers most thankful for? While the Flyers had one of the best first lines in hockey a season ago with Claude Giroux, Jakub Voracek and Sean Couturier, only Giroux seems to be keeping with an impressive pace this year. Giroux is the only player who averaging more than a point per game as he has 12 goals and 42 points, which is good for 16th in the NHL. While his goal totals aren’t as high as last season when he tallied 34 goals for the season, Giroux continues to work his magic and set up as many of his teammates as possible. 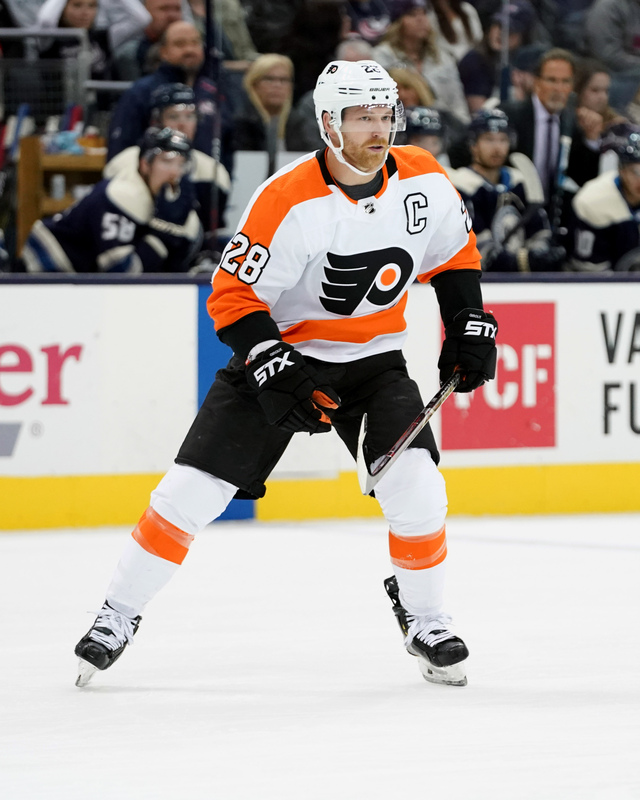 While he hasn’t seen as much time with both Voracek and Couturier, the team has opted to move Giroux back to the center position to focus on getting some of their wingers moving. 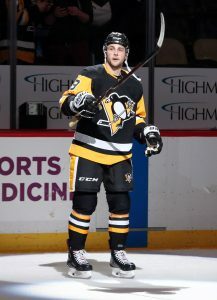 The most recent attempts is pairing him up with Travis Konecny and James van Riemsdyk, but he has seen time with a number of players to get more involved in the team’s 18th-ranked offense. What would the Flyers be even more thankful for? An improved blueline. The team had high expectations with their defense, especially from their top two as Shayne Gostisbehere and Ivan Provorov were expected to continue their ascent to develop among the top NHL D-men. Instead, both have struggled a bit, especially on offense. Gostisbehere has a team-low minus-15 rating and just 15 points on offense so far this season, quite down from his 65-point season. Provorov hasn’t performed much better with a minus-8 rating and has just 11 points after a 41-point campaign. Few others on the blueline have stepped up either. The team ranks third in the league in goals against as they have allowed an average of 3.62 goals per game. What should be on the Flyers’ Holiday Wish List? The team must figure out its goaltending situation as soon as possible. Hextall spent most of his time waiting for his multitude of goalies to return from injury, but neither the original intended starters, Brian Elliott or Michal Neuvirth, have been able to stay healthy for any significant amount of time. Elliott has fared adequately in 14 appearances this year as he boasts a 2.59 GAA and a .911 save percentage. Neuvirth has been a disaster. Anthony Stolarz showed some success recently, but when he went down, the Flyers had no choice but to bring up Hart, who has fared well in his first three starts. However, at 20 years old, few believe that he can keep up the pace at the NHL level. The team must decide whether to use some of their assets to acquire an interim goaltender. As the holiday season quickly approaches, PHR will take a look at what teams are thankful for as the season heads past the one-quarter mark. There also might be a few things your team would like down the road. Let’s take a look at what’s gone well in the early going and what could improve as the season rolls on for the New York Rangers. Click here for the other articles in this series. What are the Rangers most thankful for? Long-term salary cap flexibility. Coming into the season, the thought was that they’re a couple of years away from really pushing towards being a contender once again. If that is still the timeline, their books are going to be pretty clean. Only two players are signed beyond the 2020-21 season in center Mika Zibanejad and defenseman Brady Skjei. New York has always been viewed as a potential contender for prominent free agents and they’re going to have the financial wherewithal to be aggressive on that market to help build around their promising young core. Meanwhile, the short-term nature of most of their contracts will make it easier for them to make moves if they decide to sell once again at the trade deadline. Who are the Rangers most thankful for? While goaltender Henrik Lundqvist could easily get the nod here given his long-term tenure with the franchise and solid play this season, let’s go with Zibanejad instead. This season, he has stepped up and locked down a top-line role while continuing to log big minutes on the penalty kill. With 30 points in 33 games heading into play on Saturday night, he’s on pace to blow past his career high of 51 set back in 2015-16. That’s legitimate top line production for $5.35MM, a salary that second liners are getting with more regularity now. 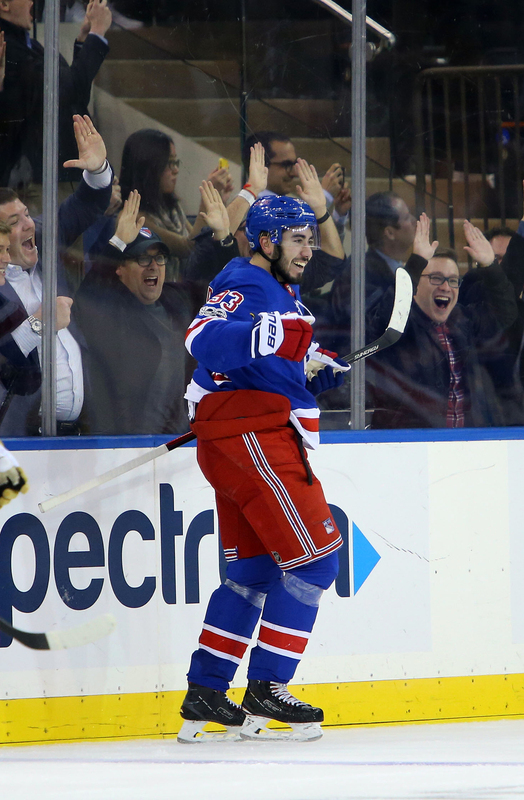 Their decision to deal Derick Brassard for Zibanejad two years ago is certainly paying dividends. Brassard didn’t light it up with Ottawa while his time in Pittsburgh has not gone particularly well either. While he is becoming more of a secondary player, Zibanejad has become a key part of New York’s core. What would the Rangers be even more thankful for? Getting more bang for their buck from the back end. Marc Staal ($5.7MM) has been discussed as a possible buyout candidate the last couple of years and will likely come up in that discussion again in June. Kevin Shattenkirk ($6.65MM), signed to give the Rangers some offensive pop on their blueline, has just one goal in 29 games, has been a healthy scratch, and is now injured. Meanwhile, Skjei ($5.25MM) has taken a bit of a step back in the first year of his new deal. Then there’s Brendan Smith ($4.35MM) who cleared waivers last season and has been a third pairing player this year when he’s been in the lineup. That’s nearly $22MM in underachieving rearguards and if those players were living up to their deals, New York’s fortunes could look a lot better right now. What should be on the Rangers’ Holiday Wish List? First and foremost, finding a resolution one way or another when it comes to pending UFA center Kevin Hayes. He can sign a new deal in January but if they can’t reach one fairly quickly, they’ll have to pivot towards shopping him. (Winger Mats Zuccarello is in a similar situation although he’s eligible to sign at any time.) Knowing what direction they’re going with these players will dictate their future plans. If they aren’t signing them, they’ll become sellers but if one or both re-sign, it wouldn’t be shocking to see them look for a bargain addition or two. If they sell, their wish list is likely to consist of young players that are going to be part of the core as players like Brett Howden, Filip Chytil, and Lias Andersson ascend into more prominent roles over time. Getting prospects that will be ready soon may be preferable than draft picks that will be further away. If they buy (an unlikely scenario given their stated commitment last year to a rebuild), it’s hard to see them moving picks or prospects of consequence so a depth defender could be a focus there given the struggles of their current players.